It is no secret that two-strokes are becoming popular once again. Whenever we feature a beautiful two-smoker on the cover or on any of MXA’s social media sites, the viewing numbers are record-breaking. Two-strokes are counter-revolutionary. They are a knee-jerk reaction to 1998’s four-stroke revolution. But, it is not just nostalgia that is driving the two-stroke movement. It is the charm of the machines themselves. They are affordable to rebuild, fun to ride, and their sound is music to ears tired of the drone of thumpers. Plus, if the powers-that-be allowed two- and four-strokes to compete at equal displacements in the Pro ranks—it would be a two-stroke world again. Why? They are lighter, have less moving parts, are cheaper to build (thus cheaper at the retail level), can be repair with common garage tools (by anyone with a modicum of mechanical skills) and they make more horsepower per cubic centimeter. The only reason they don’t dominate today’s motocross world is politics. MXA hadn’t done a 250cc two-stroke shootout in years, until last year. With Husqvarna joining the fold, we decided to pick up the gauntlet again. Amazingly we had done a variety of two-stroke related shootouts over the last few year, but never a full-blown comparison. We had tested the KTM 125SX against the KTM 150SX, did a shootout between KTM 250SX and 250SXF, did several YZ250 versus YZ250F comparisons, but 2015 was the first time in a long time that we put the Yamaha up against the KTM (with the Husky as a bonus). If you are looking for the 2015 TM 250MX, it was not imported to the USA last year in time for the 2015 shootout and we haven’t gotten one yet this year. The MXA wrecking crew loves to give our readers what they want. Thus, we bring you the “2015 MXA 250 Two-Stroke Shootout.” It should be noted that this is really a combo-shootout because the 2016 Husky TC250, KTM 250SX and Yamaha YZ250 are unchanged from last year—with the exception of graphics, cosmetic updates and the black rims on the 2016 YZ250. Thus, this 250 Two-Stroke Shootout covers both 2015 and 2016. We have included photos of both years bikes. You can compare the looks, but as for the performance, it is identical. We all know what you want to hear. Who won the shootout, right? We aren’t here to build up the suspense of who won and who didn’t. But, we want to give you all the facts, because the Yamaha YZ250, KTM 250SX and Husqvarna TC250 all have their reasons for being. The eventual winner will surprise you because it surprised us. Here are the facts. 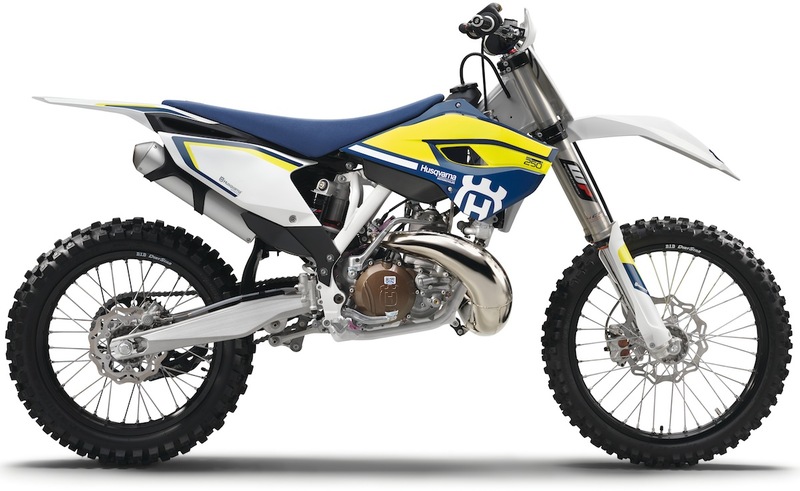 This is the 2015 Husqvarna TC250. 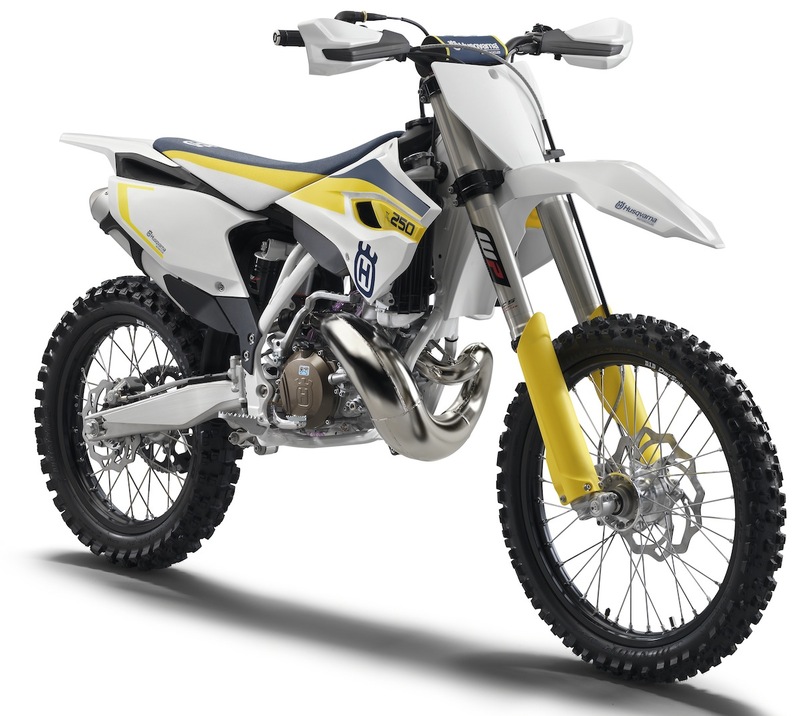 This is the 2016 version of the Husqvarna TC250. It is now common knowledge that the Husqvarnas have the same engine, chassis and suspension as the KTMs. This makes for similar results. 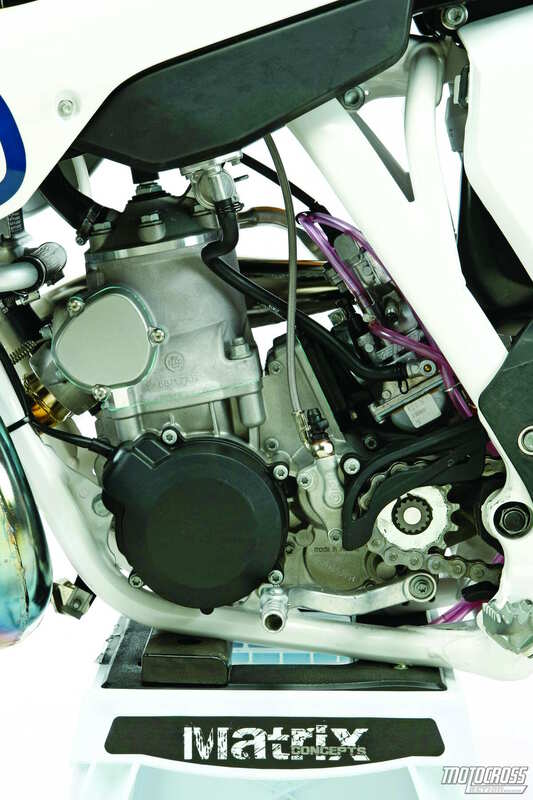 At first glance, the Husqvarna TC250 seems to be suited to enduro-style riding because of its tightly sealed airbox. And, the looks get some support from the stats and tech specs, where the KTM 250SX beats out the Husqvarna TC250. 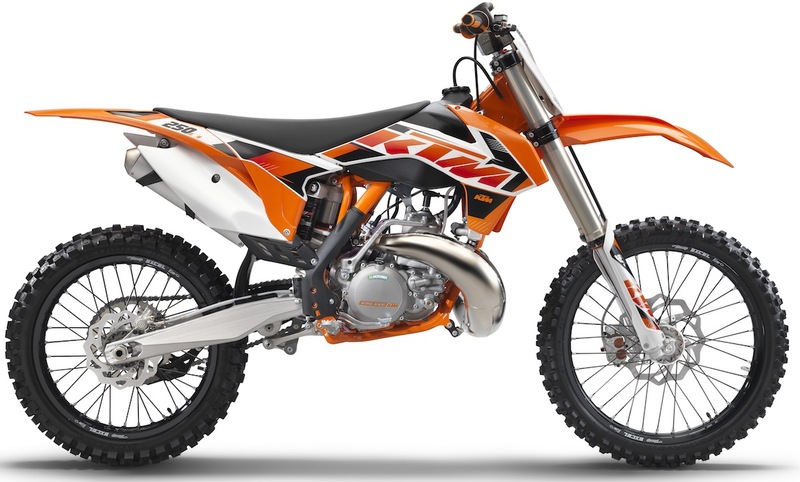 This is the 2015 KTM 250SX. 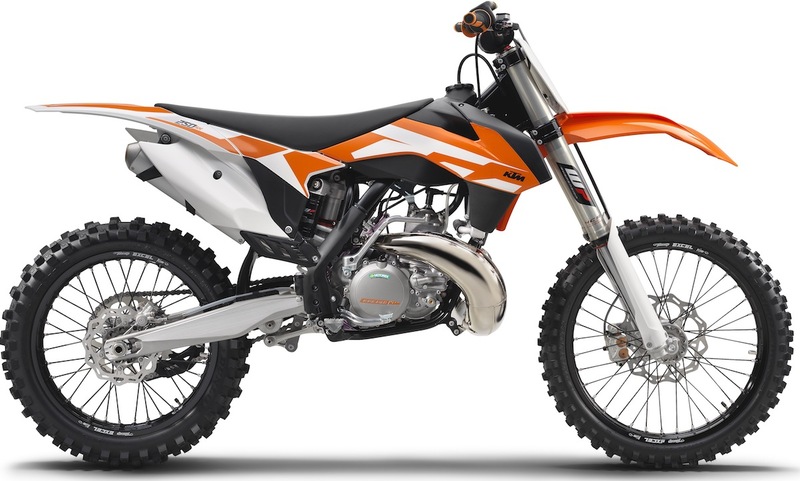 This is the 2016 version of the KTM 250SX. On paper, it is hard to overlook the KTM’s and Husqvarna’s class-leading features. Their Brembo brakes are amazing, the self-adjusting hydraulic clutch is ahead of its time, the billet hubs are works of art, and the aesthetics are as modern as on any bike ever made. Plus, the KTM/Husky dyno numbers blow the Yamaha YZ250 out of the water. This is the 2015 Yamaha YZ250. This is the 2016 version of the Yamaha YZ250. 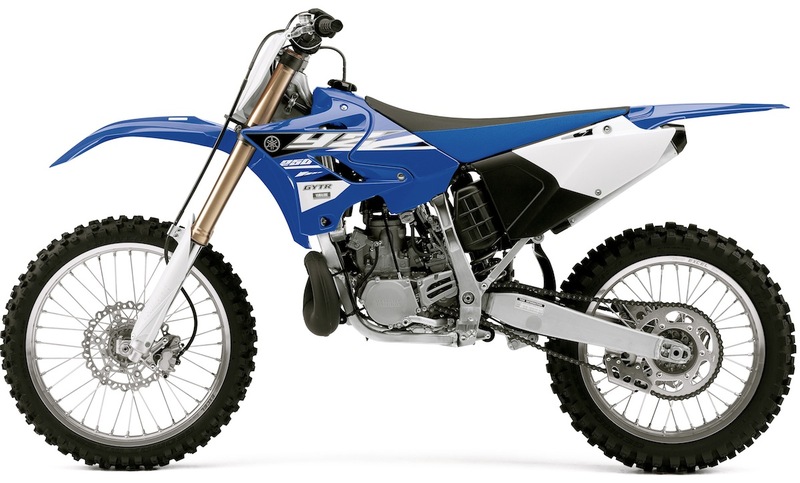 Apart from the all-new plastic for 2015-16, the Yamaha YZ250 two-stroke is an nine-year-old bike. First developed for the 2006 model year, the number of modifications made on a year-to-year basis are drops in the bucket compared to what the KTM/Husky engineers have done in half the time. Yamaha’s 2015 updates consisted of new bodywork, upgraded SSS suspension and wider footpegs. The 2016 updates are the black rims and gold chain. Sounds mediocre, doesn’t it? Remember, these are just the specs—and specs alone. On paper, there is no reason to buy the 2016 Yamaha YZ250. You could buy a used YZ250 for several thousand dollars less and call it a day—especially a 2015 model. The KTM 250SX wins the paper-trail shootout. HOW GOOD IS THE YAMAHA YZ250’S OVERALL POWERBAND? The YZ250 power is the weaker bike when it comes to dyno numbers. 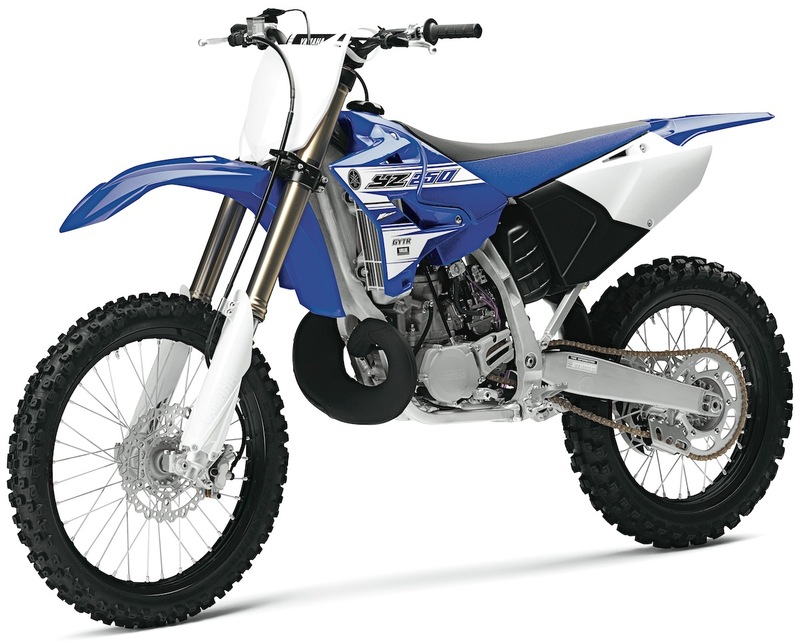 But, the YZ250’s power delivery throughout the entire powerband is superb. It has enough torque to keep your finger from abusing the clutch, and the midrange hit is not too abrupt. The power transitions into the top end without losing a beat. Finally, no matter how long you rev out the engine, it never falls on its face. In a perfect world we would like to see Yamaha keep the same powerband but try to pump up the power to KTM’s level. Our test riders wanted more power everywhere, but they loved the curve. HOW GOOD IS THE HUSQVARNA TC250’S OVERALL POWERBAND? The Husky has two different map settings. On the aggressive map, which is setting two, we got the best results. The Husky engine does not feel like the KTM. Why not? The Husqvarna airbox is almpst totally sealed. The KTM has air ducts on both sides. 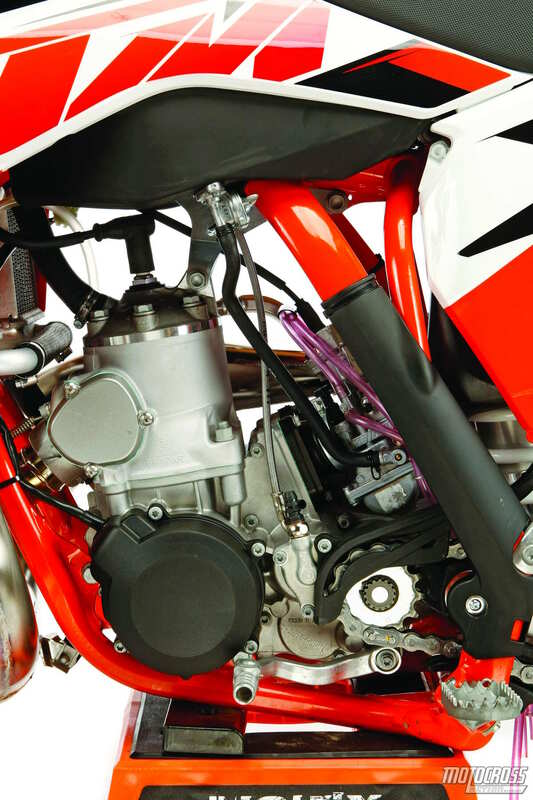 By choking off the engine, the TC250 power becomes incredibly smooth and more manageable. 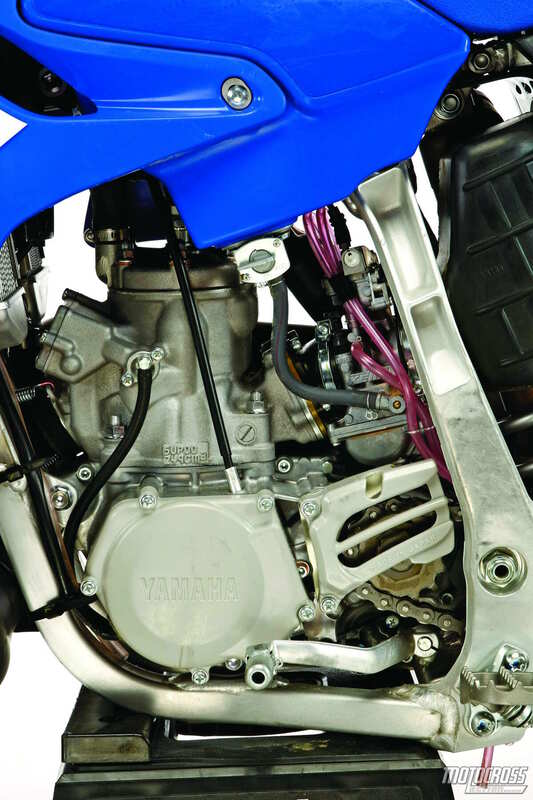 Dare we say it; the TC250 ran a lot like the Yamaha YZ250. It lost a lot of KTM’s raspiness and was very popular with the MXA test riders. Given their druthers, most test riders preferred to have a Yamaha that ran like a Yamaha, as opposed to a Husqvarna that ran like a Yamaha. The Yamaha version had better throttle response. HOW GOOD IS THE KTM 250SX’S OVERALL POWERBAND? KTM’s powerband ramps up slow, hits hard in the mid, pulls good to the top, then falls off after peak. Most test riders mentioned how quickly it quit pulling. 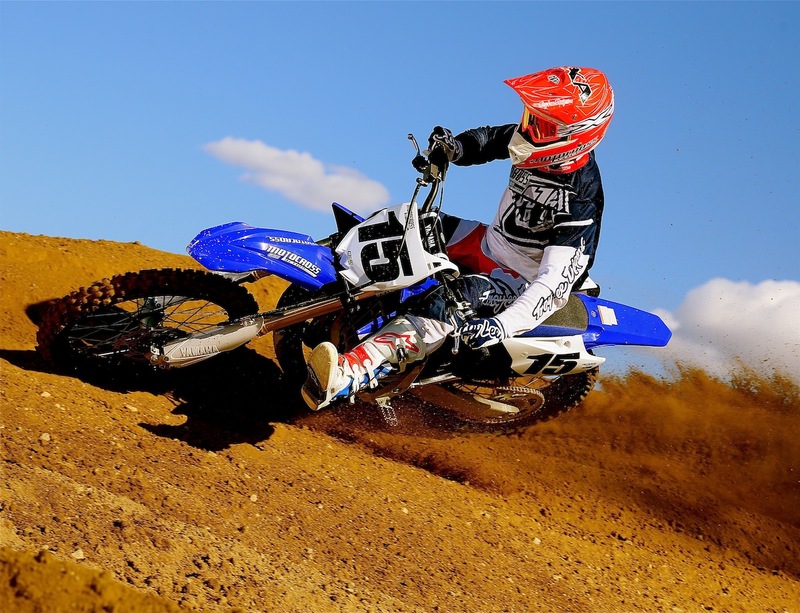 A comparison between the Yamaha YZ250 and KTM 250SX revealed that the YZ peaked at 8800 rpm, while the KTM peaked at 8400 rpm. Yes, you could feel the 400 rpm difference. 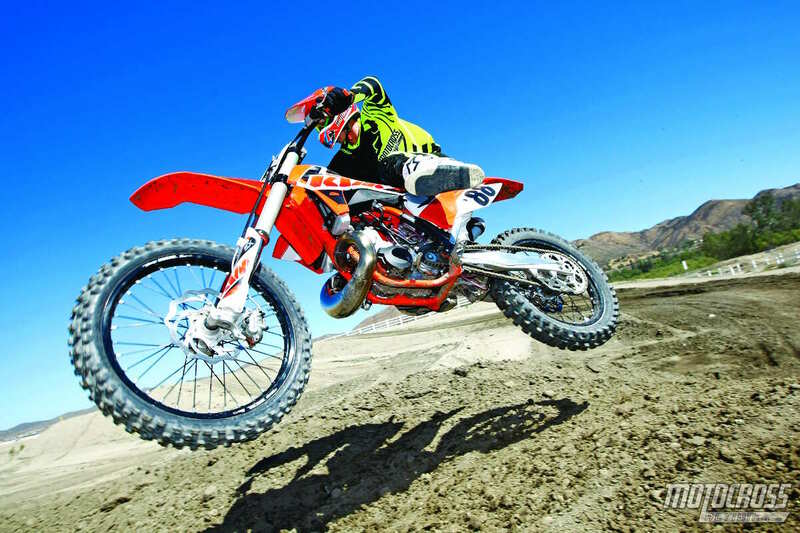 There is no doubt that the 2015-16 KTM 250SX was the fastest bike of the three, but with that speed came the need to keep the power in the meat of the powerband—and that meant short-shifting. 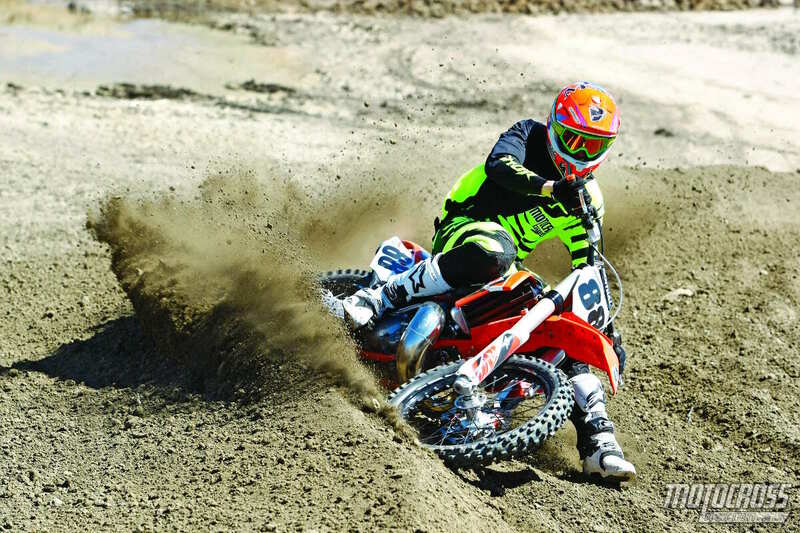 MXA test riders often found the need to shift and the gearbox to be at odds, which meant that shifting before peak was the safest solution to keep the momentum up. Of interest to KTM owners and aficianados, we didn’t have this problem with the 2013 KTM 250SX engine, because it was 2-horsepower stronger on the front side and didn’t peak until 8600 rpm. That combination made the gearbox and shift points almost perfect. WHICH BIKE WOULD GET THE HOLESHOT? KTM is the holeshot winner. This bike hits as hard as Mike Tyson. Everything that bothered us about the shift points on the racetrack was moot on the starting line. The aggressive midrange hit and slam-bam shifting in the rush to the first turn meant that the KTM would almost always get there first (except off a concrete start where the Husky and Yammie had the hook-up advantage). Husqvarna was the second-best starter. The Husky powerband is smoother than the KTM’s. The smoothness makes Husky more manageable out of the hole, but when it gasps for air in the midrange, the KTM sails past it. If you want to drag race your buddies, then take the airbox cover off or drill big holes in it, and then you will feel what the KTM riders feel. Yamaha was third best (out of three). Yes, we know that we said that the Yamaha has the best overall powerband, but that doesn’t mean it’s great in a 100-yard drag race. Off the line, all that matters is how much horsepower you can put into the ground—and at its best, the YZ250 is putting two less ponies into the job. It is the slowest bike in the shootout, and that really shows up in a straight line. WHICH BIKE HAS THE BEST BRAKES? Surprise, Husky and KTM tied for first in this category. Their Brembo brakes have been changed, refined, retooled and massaged almost every year for the past five years. 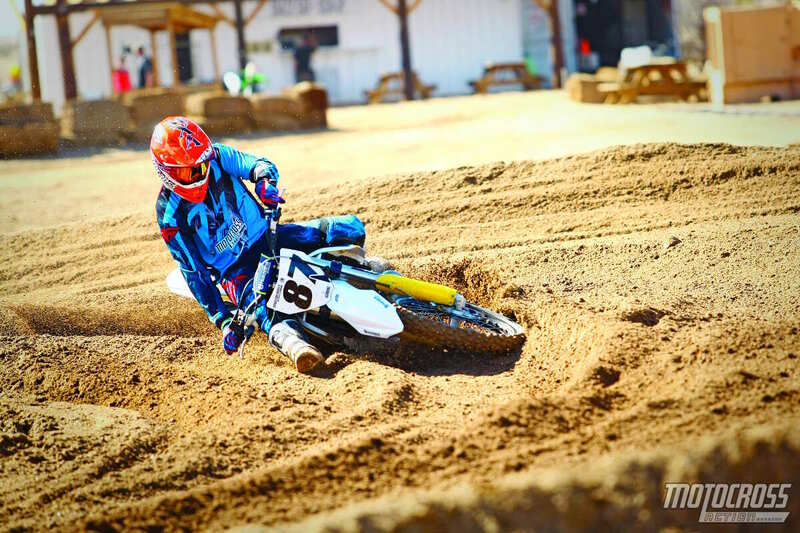 All that effort pays off in brakes that can haul a 240-pound 450 four-stroke down from speed, so they are incredible on a 218-pound freewheeling two-stroke. Even an oversized rotor on the Yamaha YZ250 would have a tough time matching the brakes on the KTM/Husky duo—they are that good. 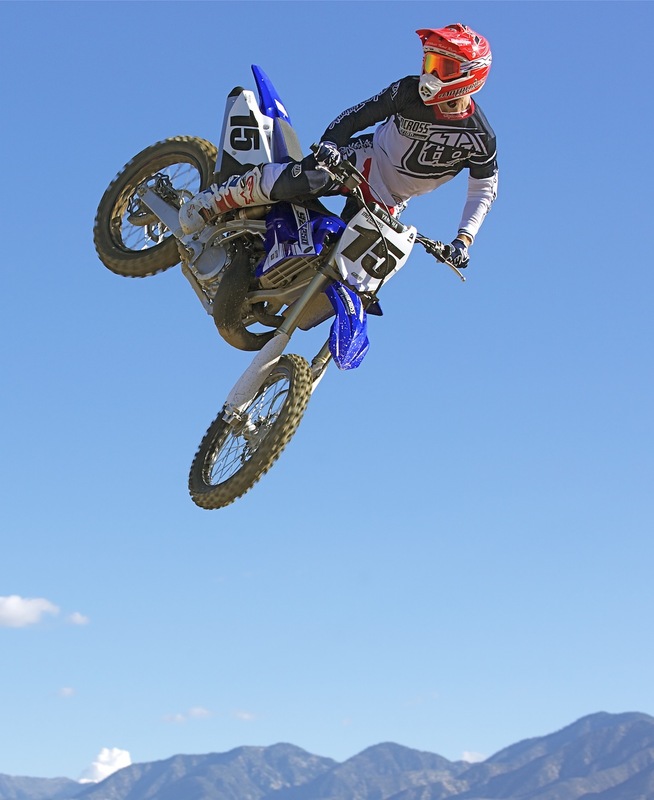 The YZ250 brakes are okay. Not great. Not very good. Just good enough. The Yamaha two-strokes did not get the big rotors that the 2016 four-strokes got, but that wouldn’t change the results. But, as long as you never ride a KTM or a Husky, you won’t know how subpar they are. WHICH BIKE CORNERS THE BEST? Husqvarna wins this category hands down. If the Husky and the KTM are identical, why do we keep pointing out how different they are? Because they are quite different in motion, though they are the same on paper. How does the Husky beat the KTM? The resilience of the subframe play a big role in the Husqvarna TC250’s very supple feel. All you need to do is point and shoot and the Husqvarna does the rest. It is one of the best cornering machines on the market. The KTM comes in a close second to the Husky, but it is second nonetheless. The KTM is more sensitive to setup than the Husqvarna and requires the shock sag and fork height to be fine-tuned to get the most out of it. Yamaha is third—as you would expect from an nine-year-old chassis. In stock trim, it had issues getting into tight ruts. And if we got it in, it was a challenge to keep it from climbing out. We could get it to corner like a champ, with the forks obscenely high in the clamps and sag set at a very low 107mm. This setup, however, compromised the chassis in high speed situations. The front end felt loose and unstable, with slight headshake in transition. In essence, it was a handful. WHO HAS THE BEST SUSPENSION? Yamaha has the best suspenion by leaps and bounds. Yamaha’s suspension has no competition from any bike in 2016. 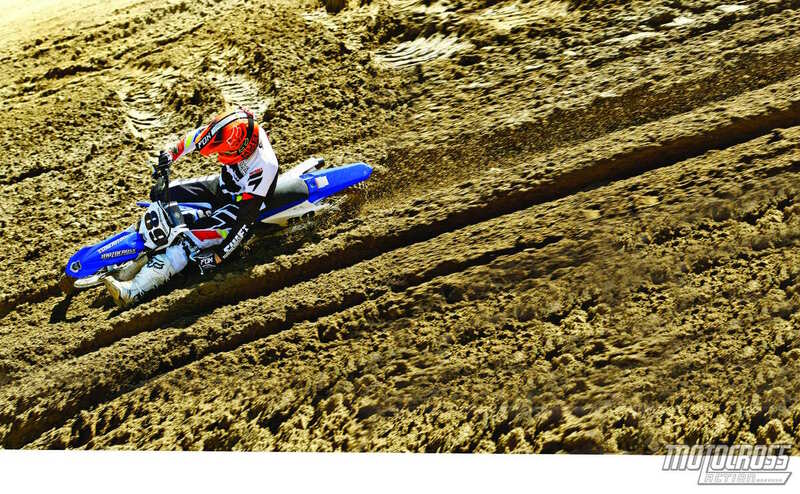 Yamaha upgraded its already superb Kayaba SSS suspension by giving the two-stroke the benefit of all Yamaha learned from its newer-generation YZ250F forks. In the initial part of the stroke, the forks are plush and forgiving. The mid-stroke has a small harsh spot that can be ironed out with a few adjustments. Overall, the feel of the stroke inspires confidence. The KTM suspension is a poor and distant second to the Yamaha’s SSS components. While the new 4CS forks are a step in the right direction over WP’s older stuff, it was tough to get the front and rear to work together. When we fiddled with the forks, if we got the front wrong, the rear suspension revolted. 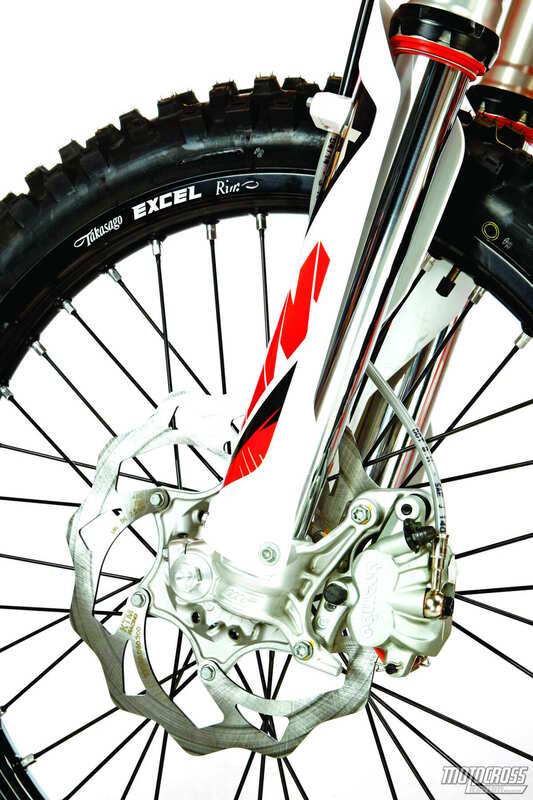 We think the 4CS forks have promise, but that promise will have to wait until 2017. The shock tracked well but was harsh under a load. Husqvarna TC250 was a close third. As with the KTM 250SX, it was a challenge to get the front and rear balanced. It was tough for our test riders to get confident with the suspension. They second-guessed jumping anything big. The MXA test riders liked the flex of the plastic subframe over big jumps; it took some of the bite out of the landings. WHICH BIKE IS MOST CONFIDENCE-INSPIRING? Yamaha wins this category. 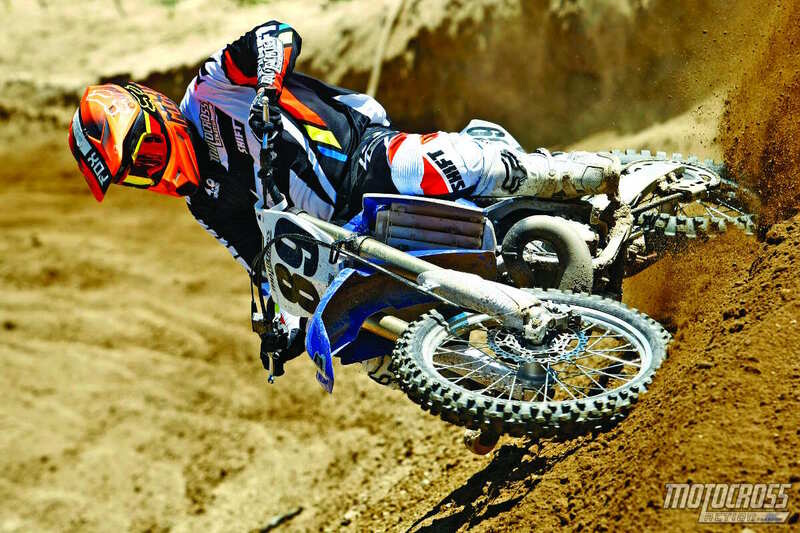 The moment you swing a leg over the YZ250, you feel at home. The bars are in a neutral position. The wide footpegs and shape of the seat make you feel planted. The cockpit is neither too big nor too small; it is just right. The jetting is correct out of the box, and the YZ250 ran clean on pump gas, which won’t be true if you start hopping it up. It’s perfect as is—change anything and it goes lean. Husqvarna barely edged out the KTM in this category. Getting on the TC250, you feel fairly comfortable. The Husky felt the most level of all three bikes when we sat on it. It also turned on a dime, which we loved on the tight tracks we rode. However, the bars were oddly wide and curved. When starting the bike, there was noticeably more vibration than with the Yamaha. Also, we did not like the Husky seat-cover material; it was incredibly slippery. KTM was just nudged out of second place by its stablemate. The KTM 250SX felt very much like the Husky, except for these differences: it vibrated even more than the Husky. The stock jetting ran rough on 91-octane pump fuel. The KTM seat cover had considerably more grip than the Husky’s. WHICH BIKE HAS THE BEST CLUTCH? Clutch performance is a tie between KTM and Husky. The hydraulic self-adjusting clutch is hard to beat. It does have a different feel from a cable clutch, but it is easy to get the hang of. 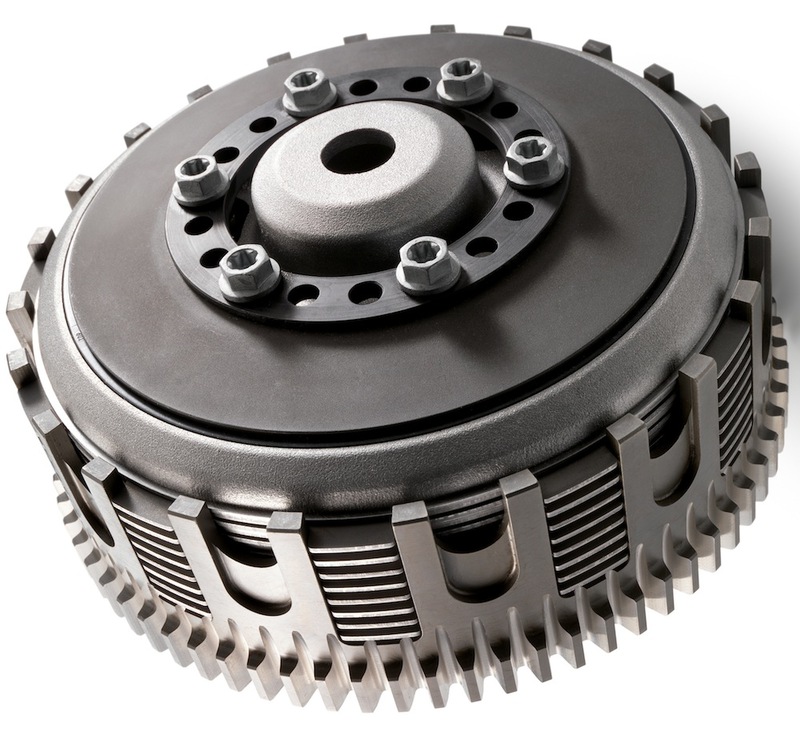 Even though the clutch systems are identical, the KTM clutch takes a little more abuse due to the more abrupt power curve. Every test rider loved the easy feel of the Yamaha’s clutch pull, but every time we pulled in to the pits, we had to adjust it. A few testers even had to adjust it on the fly. For us, the shootout winner was hard to choose. It seemed obvious when we started that the KTM 250SX and Husqvarna TC250 would share the golden mantel. They are faster and more modern, have superior brakes, incredible hydraulic clutches, shiny billet hubs, inspired handling and creative designs.This seemed so simple that w probably didn’t need to ride, race and test the bikes for as long as we did. To us, putting the ancient, nine-year-old Yamaha YZ250 up against the Austrian machines seemed like a serious miss match. Face it, while Yamaha has sat on its haunches, KTM has been burning the midnight oil to build more and more advanced two-strokes. Meanwhile, all Yamaha has to show for it is restyled plastic, which they probably wouldn’t have done if UFO Plastic hadn’t shown them the way. New plastic increases a bike’s showroom appeal, but it doesn’t decrease lap times. And the winner is…the 2015-16 Yamaha YZ250. We didn’t think we would when we started, but we favored the balanced overall package of the YZ250 over its more high-tech competitors. It even surprised the MXa test crew, but just being new and fancy doesn’t mean that a bike is better — just newer and fancier. It wasn’t a slam-dunk victory for the YZ250; more like a 4-to-3 victory in the 12th inning, but you take wins any way you can get them. Why did the Yamaha YZ250 two-stroke win, especially without winning the best handling, brakes, clutch, holeshot and horsepower categories? It won on the overall balance of suspension, power, comfort and reliability. This was a triumph of feel over function. The YZ250 just feels right. 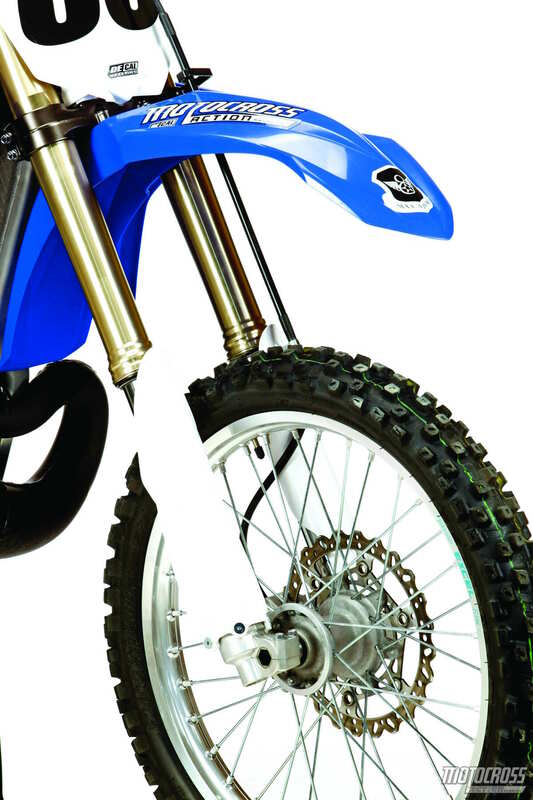 The 2015-16 YZ250 two-stroke is easier to ride, more confidence-inspiring and, most important, its Kayaba SSS suspension delivers works-like performance to the common man. So bask in your glory, Yamaha engineers, because the margin of victory was hair thin. You need to know that with an iota more damping, a smidge more jetting or a hair more over-rev from your European counterparts, you’d be in third place. There will be all-new KTM and Husky 250 two-strokes in 2017 — we highly doubt that there will be a new YZ250 (based on Yamaha’s track record). ONE PHOTO & ONE STORY: AN ILLUSTRIOUS CAREER CONTINUES?